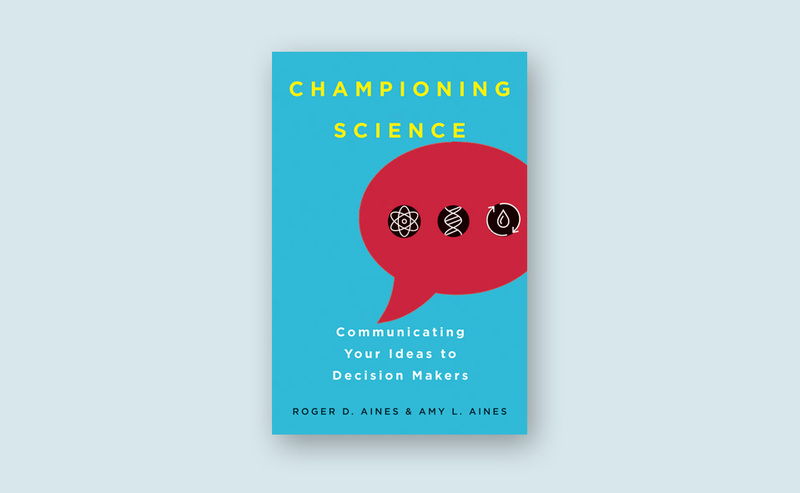 In late 2018, University of California Press will publish Championing Science — How to Communicate Your Ideas to Decision Makers, a book to help professional scientists and students studying science-based disciplines learn how to get results from their conversations and presentations to decision makers. This book will teach readers vital communications, influence and emotional intelligence skills to advance their work. Through instruction, interviews and examples, readers learn about the importance of extracting the essence, crafting messages, simplifying visuals, bridging paradigm gaps and storytelling. We are inspired to write by the belief that breakthroughs in science often happen by building on small ideas. Our goal is to help scientists make sure their good ideas get heard. Want to get better at presenting complex technical or scientific topics? Check out our blog at www.championingscience.com.